The north park is located between Pulheim’s city edge and the adjacent agricultural landscape. 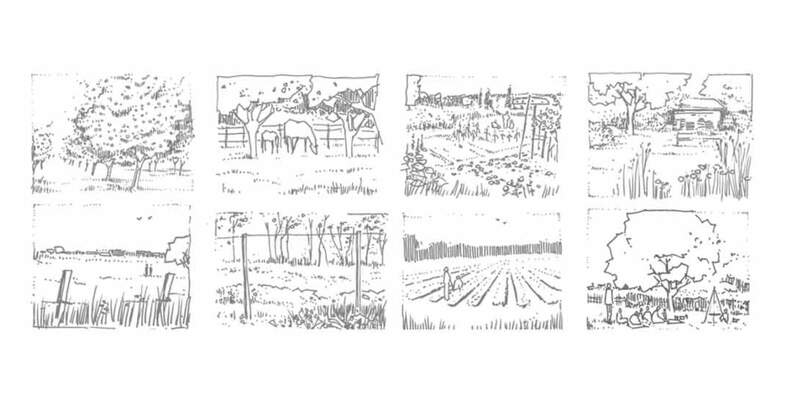 Characteristic elements of the open country include farm lanes, alleys and parcelled fields. In transition between town and countryside, the adjoining vastness of the fields is particularly impressive. It is structured by the staggered arrangement of tree rows, wooded areas, farmsteads and industrial objects along the horizon line. 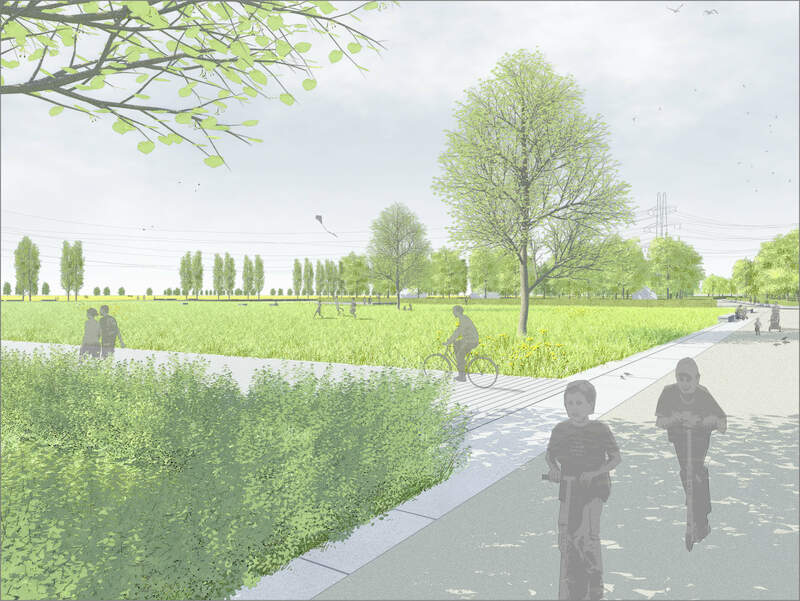 By 2030, the north-western edge of Pulheim is to be framed by a park. The acquisition of the park areas by the municipality is possible. Alternatively, however, a coexistence of public and private open spaces is also conceivable. 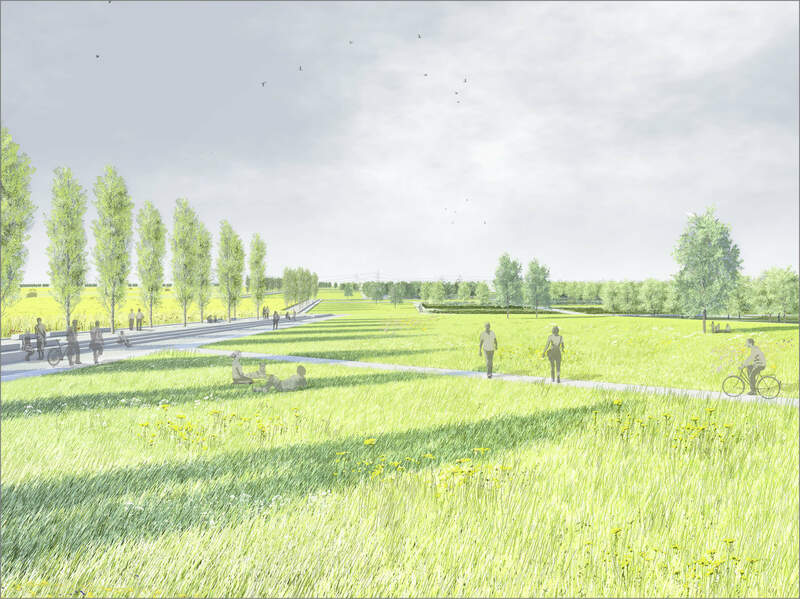 Besides publicly owned areas, the Nordpark could also comprise a large number of privately used open spaces. Accordingly, the park concept must allow adjustments and changes, but at the same time develop a recognizable form. 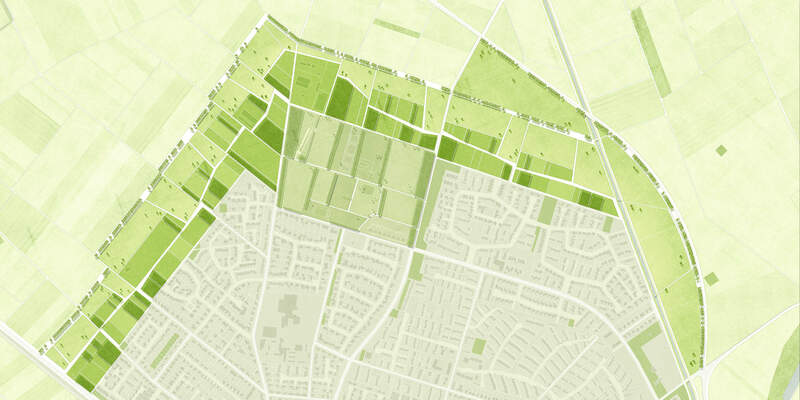 For this purpose, a spatial framework of paths and fields is proposed. The park structure consists of three types of walkways: the Horizon-Allee, the Field-Promenade and the Crossroads. It includes also two field types: the open fields and the parcels. Complementary, the remaining areas can be occupied as private open spaces with different contents depending on individual needs and initiatives. 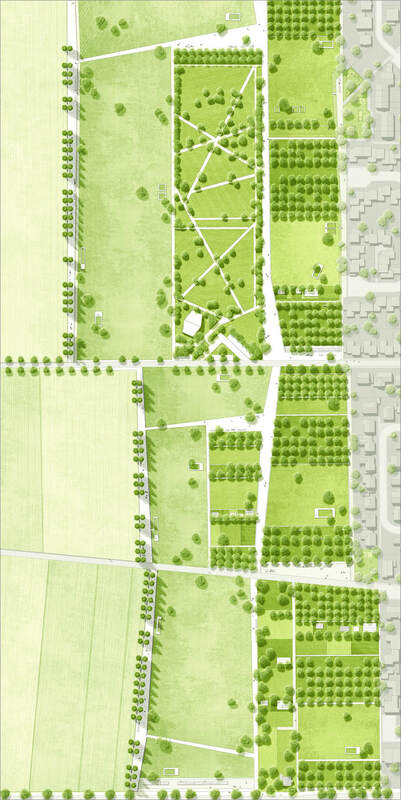 The elements of the park framework tie in with the existing structure of field lanes and alleys as well as with the parcelled open country. The public areas of the structure ensure the most important connections, views and spatial relations. They mediate between urban structure and vastness, and they stage the characteristic features of the landscape.